The best is the enemy of a good! That’s why I would like to buy any amount of Reach RTK (not Reach M+). Just curious. Are you talking about the base and rover? Only rover and RTN method only, using GPS+GLO+GAL as a minimum. I think he is referring to the old Reach units. Truth. I am happy to buy from anyone who does not need it anymore. I explain why Reach RTK. 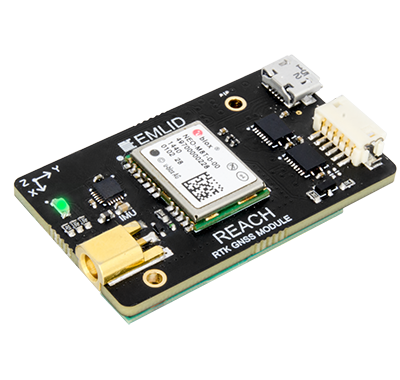 Reach M+ housing does not allow 90 degrees MCX antenna connector. Such small things are sometimes important. It is worth taking into account when designing the housing.